Tim Cook has announced the release of the new iPhone 7. The phone looks great with amazing features and new technology packed into it. Since Apple has not listed many privacy and security features, many are curious as to will the phone be safe, since the allegations on data privacy and the “back-door” left on the phone on purpose that may allow it to be hacked. Back in February the 16th, the Federal Court ordered that Apple provides access to FBI by assisting them to hack into the phone of Syed Farook – the San Bernadino shooter. At this point, Apple has declined to provide assistance. Many feel convinced that if Apple wanted, they could disable some security features by uploading a program into the device’s firmware creating a back door. The good news is that according to a report by The New York Times Apple is developing new security features for the newest version of the iPhone that can make breaking into it even more complicated. The primary methods one can break into any Apple phone running the newest iOS, according to experts are several. One method is by using a so-called .sif type of file that can be uploaded into the iPhone’s firmware. This file may have scripts that can automatically switch off some key security features, like allowing it to be “brute forced”, until the password to unlock it is discovered. One way to do this is by modifying the file to tell the iPhone not to lock the device after a limited number of failed attempts to unlock it with a password. Besides that this will possibly be “fixed”, the new iPhone 7 may also have a stronger security that keeps the most vital data in it, like the Apple Pay keys information, for example. But strengthening the security measures for the key data may just mean that there may be used stronger methods to crack the phone that go through all the security levels as well. At this point, Apple could perform many significant changes in terms of this security primarily focused around end to end encryption, the feature the company has been bragging about. One of those, according to researchers may be to encrypt all data on the phone with a “dead man trigger” that can automatically erase the data if an external party is messed with it. Making this can significantly increase the security of the new phone and prevent anyone from breaking into the phone, even Apple. Still, many questions remain concerning user privacy because it is not a secret that most tech giants, including Apple, collect various information for analysis and development. This is most likely an important internal debate in Apple because with great power comes social responsibility as well and there has to be a balance between personal information and information used for analysis. Furthermore, the risk of zero day exploits and other malware is also real. Whatever the case may be with the new Iphone’s security and privacy, it will surely become the center of attention after the iPhone 7 becomes publicly available in fall 2016. Threats such as iphone 7 may be persistent. They tend to re-appear if not fully deleted. A malware removal tool like Combo Cleaner will help you to remove malicious programs, saving you the time and the struggle of tracking down numerous malicious files. Threats such as iphone 7 may be persistent on your system. They tend to re-appear if not fully deleted. A malware removal tool like SpyHunter will help you to remove malicious programs, saving you the time and the struggle of tracking down numerous malicious files. Note! Your computer system may be affected by iphone 7 and other threats. SpyHunter is a powerful malware removal tool designed to help users with in-depth system security analysis, detection and removal of threats such as iphone 7. 1. Install SpyHunter to scan for iphone 7 and remove them. 2. Scan with SpyHunter, Detect and Remove iphone 7. 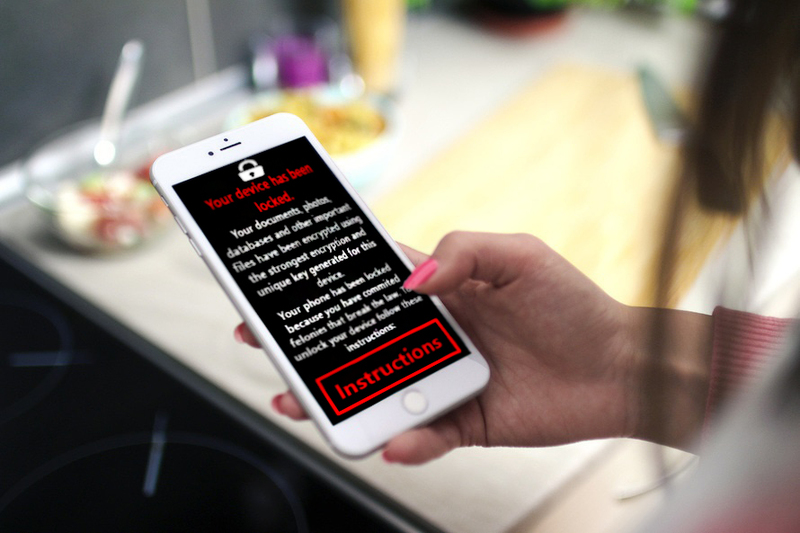 Ransomware infections and iphone 7 aim to encrypt your files using an encryption algorithm which may be very difficult to decrypt. This is why we have suggested several alternative methods that may help you go around direct decryption and try to restore your files. Bear in mind that these methods may not be 100% effective but may also help you a little or a lot in different situations. Note! Your computer system may be affected by iphone 7 or other threats. Remove iphone 7 by cleaning your Browser and Registry. Fix registry entries created by iphone 7 on your PC. Combo Cleaner is a powerful malware removal tool designed to help users with in-depth system security analysis, detection and removal of threats such as iphone 7. Step 5: In the Applications menu, look for any suspicious app or an app with a name, similar or identical to iphone 7. If you find it, right-click on the app and select “Move to Trash”. Step 6: Select Accounts, after which click on the Login Items preference. Your Mac will then show you a list of items that start automatically when you log in. Look for any suspicious apps identical or similar to iphone 7. Check the app you want to stop from running automatically and then select on the Minus (“–“) icon to hide it. Remove iphone 7 – related extensions from your Mac’s browsers. A pop-up window will appear asking for confirmation to uninstall the extension. Select ‘Uninstall’ again, and the iphone 7 will be removed. When you are facing problems on your Mac as a result of unwanted scripts and programs such as iphone 7, the recommended way of eliminating the threat is by using an anti-malware program. Combo Cleaner offers advanced security features along with other modules that will improve your Mac’s security and protect it in the future. Hey !, I found this information for you: "Will iPhone 7 Be More Secure and Private". Here is the website link: https://sensorstechforum.com/will-iphone-7-secure-private/. Thank you.